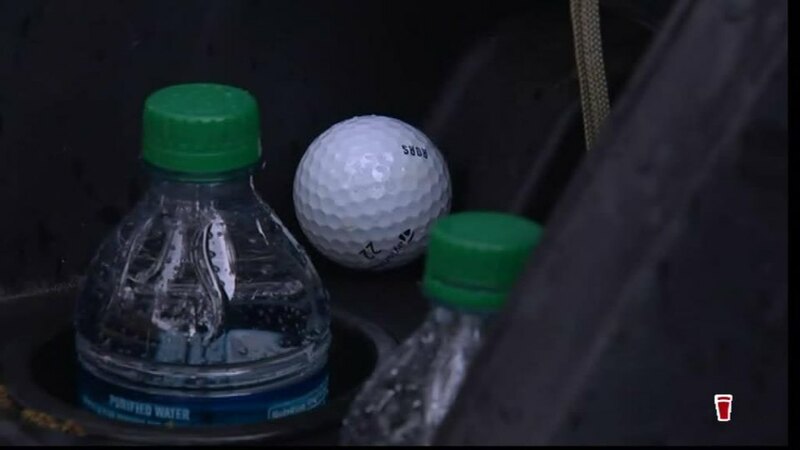 We had everything on Friday at The Masters: A stellar leaderboard; birdies galore; storm threats; unbelievable recovery shots; a marshall slide-tackling Tiger Woods on the 14th hole (he still made birdie) and some truly comical moments starring Zach Johnson, Rory McIlroy and Kiradech Aphibarnrat. 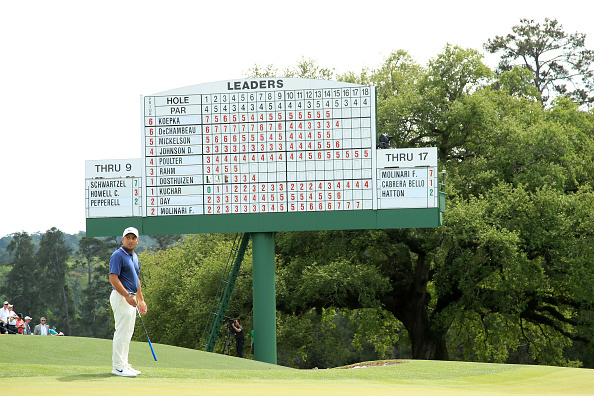 It all leaves us with a leaderboard as tight as Matt Kuchar's wallet pocket and a level of anticipation for the weekend bordering on hysteria. A total of 22 players go into today's round within four shots of the lead. "Yesss, it's the GolfPunk Friday Wrap!!" 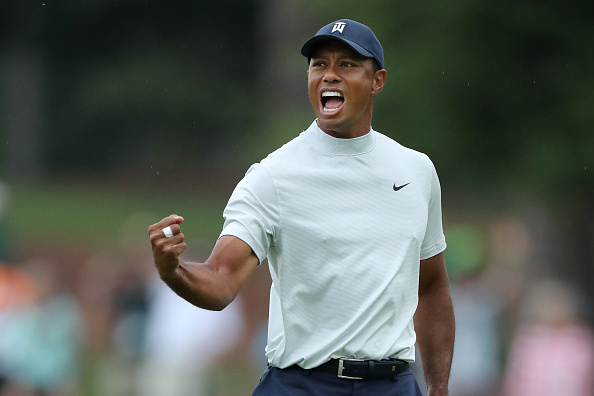 Tiger was the story of the day, shooting a four-under 68 to finish six under, one shot behind five halfway leaders – all of them major winners – Open champion Francesco Molinari, US Open and US PGA winner Brooks Koepka, Open Champion Louis Oosthuizen, and Masters winner Adam Scott. The Tiger back nine surge came on some unlikely holes. He found a rare birdie on the 11th before firing his tee shot on the short 12th to four feet. 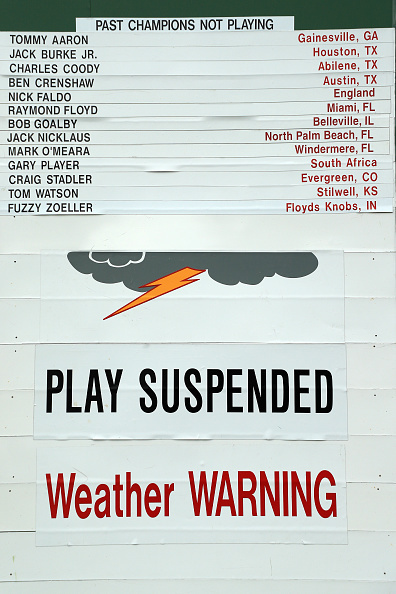 You really fancied him to roll that one in with the momentum he had, but a sudden lightning threat caused a brief suspension of play. When they resumed, Tiger saw his putt drift past the left lip. But he was on the march, no doubt about that. Not even an attempted slide tackle by a marshall on 14 could stop him. He was almost knocked off his feet as the marshall slipped on the damp grass attempting to protect the player, clipping Tiger's right ankle and causing the 43-year-old to wince and hopscotch to the safety of the fairway. Fortunately he wasn't too badly affected. 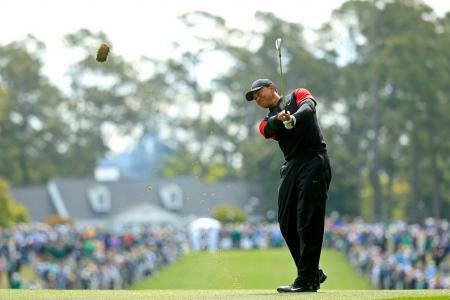 In fact, he made birdie, draining a 25-footer and sending Augusta into rapture. It was fast becoming a wilder and wilder scene. Another birdie on 15 and a safe par on 16 preceded two agonising near misses at 17 and 18 which would have given him the lead. It was breathless stuff. "Ill take three inches off the sides but that's as far as it goes..."
Despite the near misses, Tiger was all smiles as he walked off to sign his card. 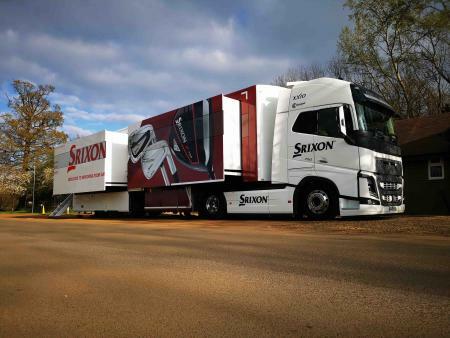 "Accidents happen, we move on," Tiger said. "Other than having four knee surgeries and four back surgeries I'm great. It's all good. I've had galleries run over me before. When you play in front of a lot of people things happen." 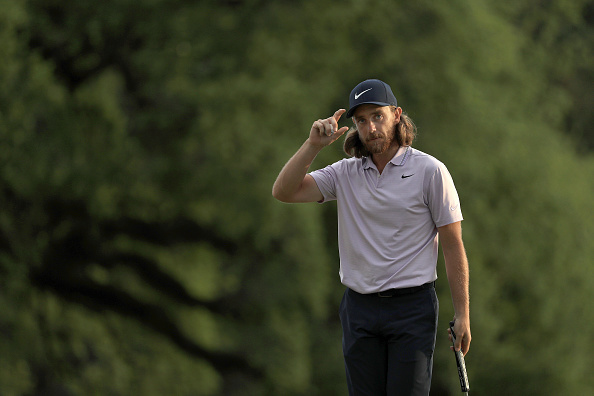 The security guard told golf.com: "Well, he made birdie so I guess it all worked out. Man, I'm really glad he made birdie." 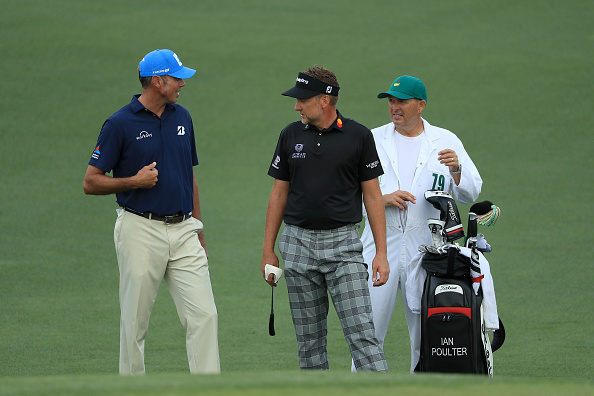 Ian Poulter flies the flag for the UK and will love the fact the he is set to partner Tiger in Saturday's third round after finishing on five under, just one behind Tiger and two behind the leaders. Poulter, who infamously once said that when he is on form there is only he and Tiger in world golf that compare, now has the chance to prove it. "I'm just trying to be smart and not take myself out of the tournament, like I've done in the past," said Poulter. "I've got a 3% chance. It was a stat shown on television that 43-year-olds have got a 3% chance of winning this week." Rory is not out of it either, having somehow clawed his way through 18 holes while having the look of a man who's spent four hours haplessly searching his house for his car keys. 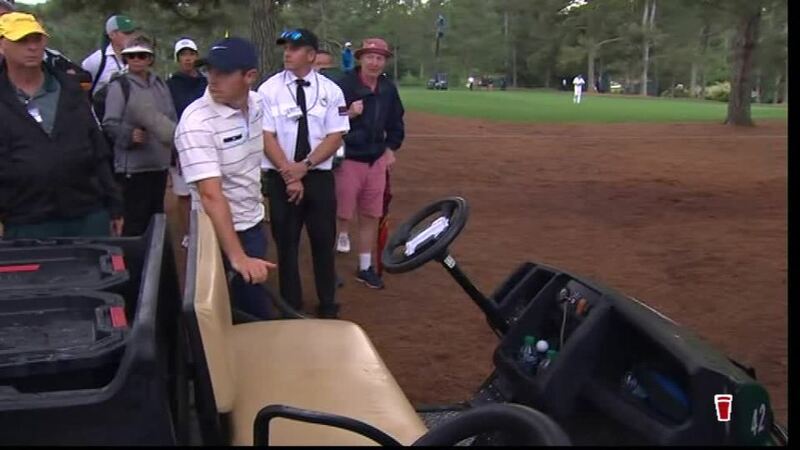 Rory shot a 71, during which his errant tee shot ended up in the glove box area of a buggy sheltering amongst the pines on the 15th. That leaves him level par, seven back but, crucially, four better than world number one Justin Rose who bogeyed the last to miss the cut on four over. Fans of Eddie Pepperell will be glad to know he scraped in at +3 and will play Saturday. On his own. Maybe that guy who lives at Augusta will go out with him like he usually does with the Masters lone gunslinger. What a last 12 months it's been for Francesco Molinari. Four wins including the Open at Carnoustie and now he's bearing down on a green jacket. No one will be surprised if he wins on Sunday. The 36-year-old had five birdies in a bogey-free 67 early on. 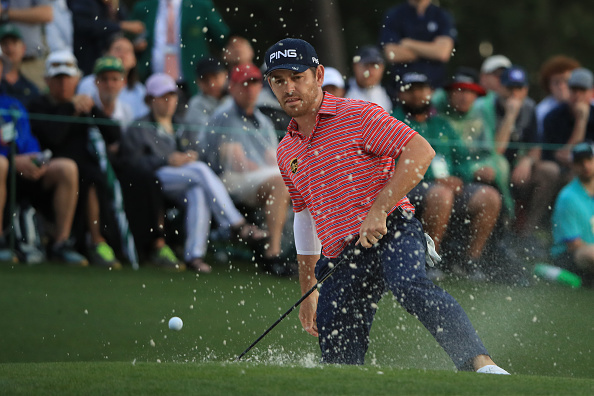 But history is against Molinari: Only four players have won the Masters whilst being Open champion: Arnold Palmer (1962), Seve Ballesteros (1980), Tom Watson (1981) and Tiger Woods (2001). Pah! Statistiche sono per perdenti! That's Italian for 'Pah! stats are for wimps'. Jason Day, who finished second in 2011, was treated on the course by a physiotherapist for a bad back during Thursday's opening round but that didn't seem to bother him on Friday as he fired six birdies and suffered just one bogey. 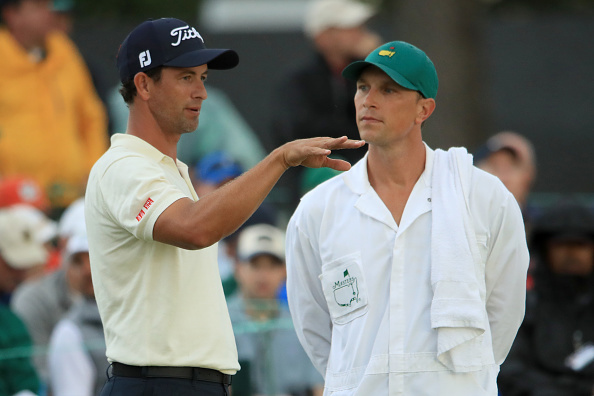 "My new cuticles guy is an absolute life saver..."
Adam Scott, Brooks Koepka and Louis Oosthuizen make up the other players at the leaderboard summit. 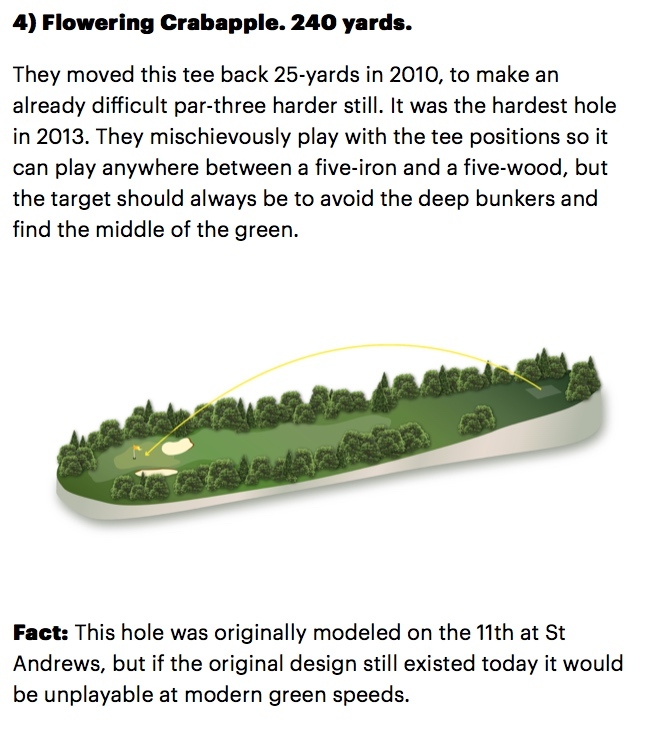 Oosthuizen produced probably the shot of the championship at 18 where his ball was plugged in a greenside bunker. Somehow the South African got the ball to within a foot and preserved his place at seven under after a best score of the day 66, matched only by our dark horse Xander Schaufelle, who sits, somewhat under the radar at six under, joint second place. Schaufelle has won the 2017 Tour Championship as a rookie so he is no stranger to taking on the very best and winning. And we haven't even mentioned Dustin Johnson or Phil Mickelson. They're both in amongst it. No one is having any problems imagining DJ having the green jacket slipped over his shoulders come Sunday night. Phil? Well, that would be record breaking. 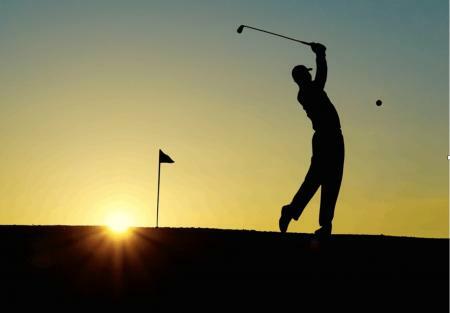 Whoever walks off with the green jacket on Sunday night is going to have to a) Hold off the very finest players in the world and b) Hold his own nerve while finding the courage to play aggressively enough so as not to let the opportunity slip away. It's going to take a rare combination of fire, patience and skill. And there are plenty of players up there with buckets full of the stuff. Take a deep breath... it's going to be emotional.